Home > Animal Shelter Volunteering > Animal Fostering > Dog Fostering > Fostering Questions: What are you Expected to do as a Dog Foster Family? 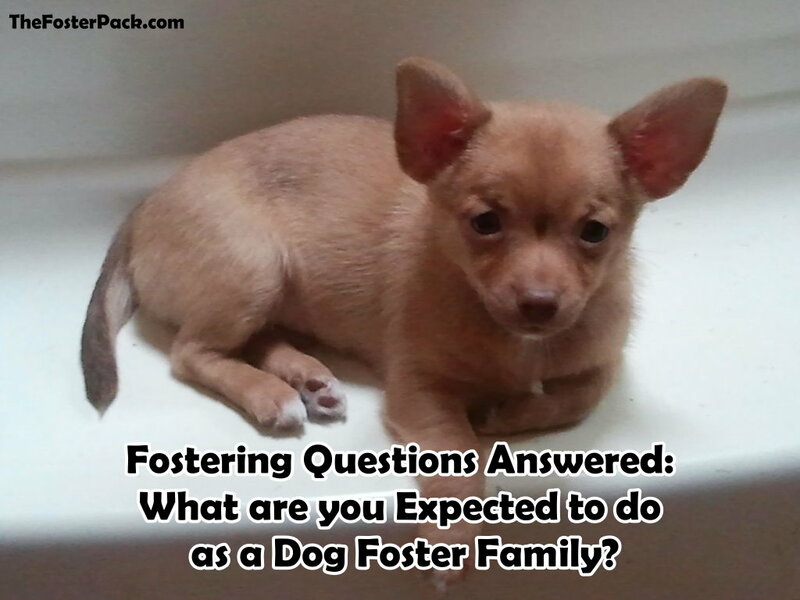 What are you expected to do as a dog foster family? Lots of people wonder what exactly the duties of a dog foster family are. And it’s different for each animal shelter or rescue that you work with. Each will have their own guidelines for their dog foster families. But the basics are pretty much the same. Socialization is probably one of the most important things we do. The more human contact that the dogs have, the better chance that they’ll be relaxed enough to get adopted. We teach the dog to live with the family. Provide transportation for the dog to veterinarian appointments. We work on basic training with our foster dogs, along with housebreaking and crate training. A lot of rescues and shelter have the dog foster family write up a short bio of the dog for his/her adoption profile. So we suss out their likes and dislikes. We learn as much as we can about how they react in different situations. Whether they are other dog, and/or cat-friendly. How they do with children and strangers. We usually take the adoption profile photos also. We also often talk with potential adopters. First on the phone, and then at the meet and greets, if everything goes well. Some animal rescue groups and shelters prefer that you keep your foster animals away from your own animals. They ones that we work with don’t require this. We quarantine them for just a few days until they’re comfortable enough in the household to interact with our own dogs. And, of course, we love the dogs that we’re fostering. Yes, we fall in love with just about every dog that passes through our doors. But we let them move on when it’s their time to be adopted. And then we move on to the next dog that needs our care.